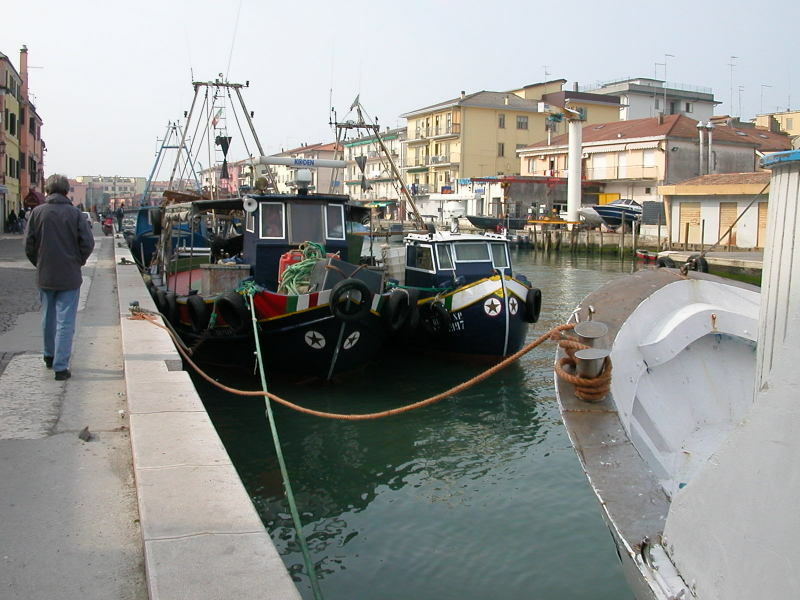 After cruising all night on the Adriatic Sea, we woke up to find the Michelangelo at port in the serious fishing village of Chioggia, just a short vaporetta ride toward the south end of the lagoon from Venice. 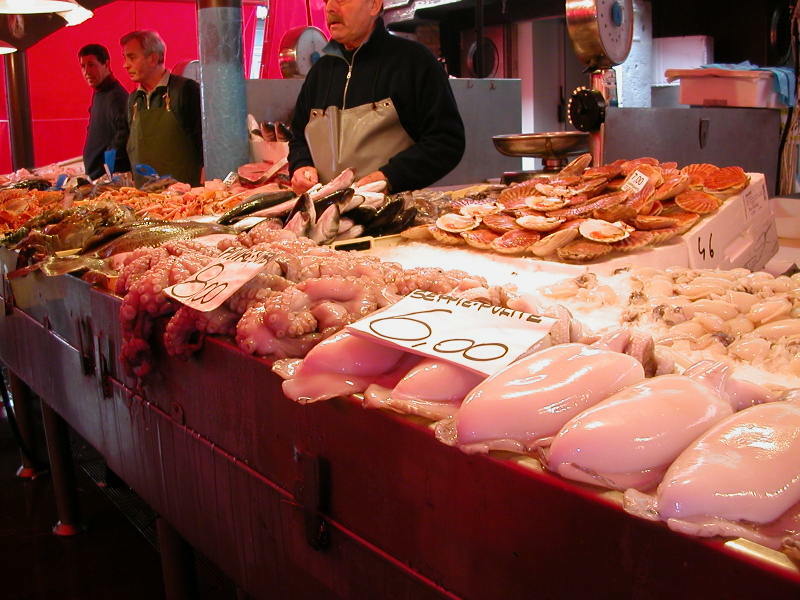 After breakfast aboard, we headed over to the main part of town and walked past the caffès and shops, and through the open-air produce market, and then strolled through the much more interesting fish market, which is really the heart and soul of the city. 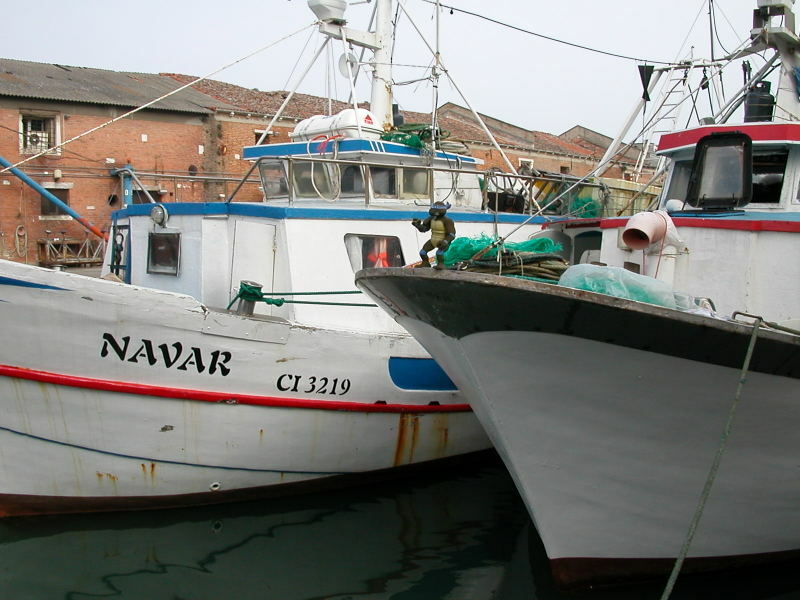 Chioggia is a real fishing village with hard-working fishermen with serious-looking fishing boats, and some of them sell the fruits of their labor here at the daily fish market housed in the 14th-century Granaio (municipal granary). We decided it would be more interesting to take the vaporetto (water bus) over to the island of Lido than to cruise back to Venice aboard the Michelangelo. The vaporetto from Chioggia went as far as Pellestrina, where we hopped onto a land bus which drove along the narrow Litorale di Pellestrina until it reached the end of the strip of land, where the whole bus (with us on board) rolled onto a ferry which took us over to Alberoni, at the other end of the same island as Lido. 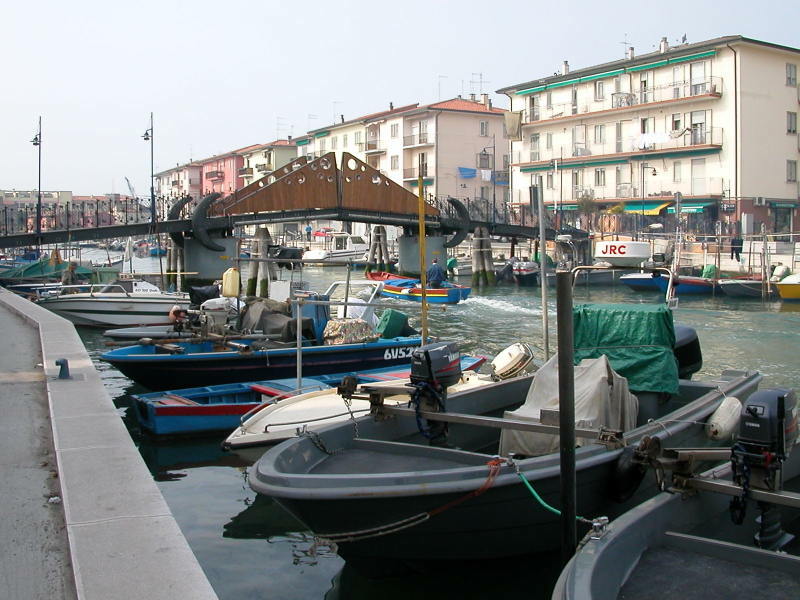 The bus then rolled off the ferry and transported us directly to Lido, about 1 ½ hours after our adventure from Chioggia began. 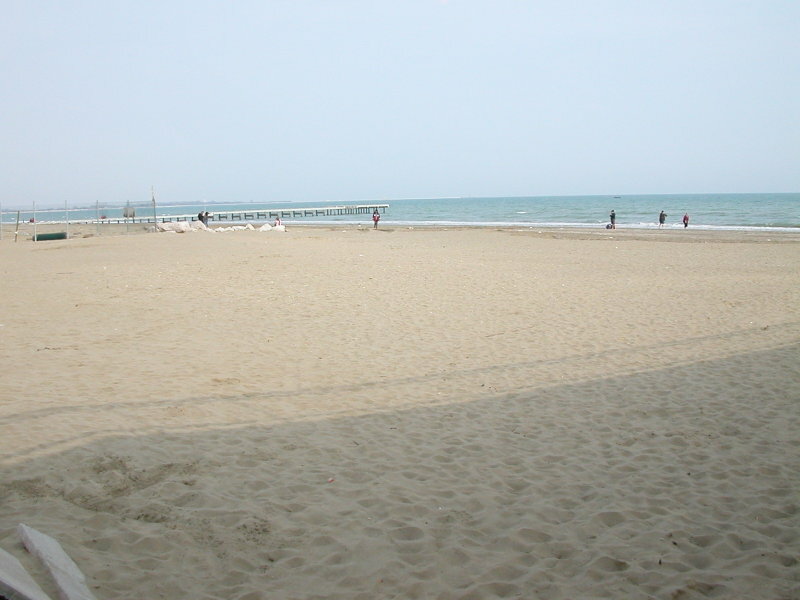 The narrow island of Lido has the Venetian Lagoon on its west side and the Adriatic Sea with 12 kilometers of wide sandy beaches on the east side. It was extremely quiet this time of year – almost too quiet really. The beach-side restaurants seemed to be closed and there just didn’t seem to be very much activity outside, while in Venice the sidewalk caffès were bustling and very lively. I imagine it’s a different story in Lido once June rolls around. 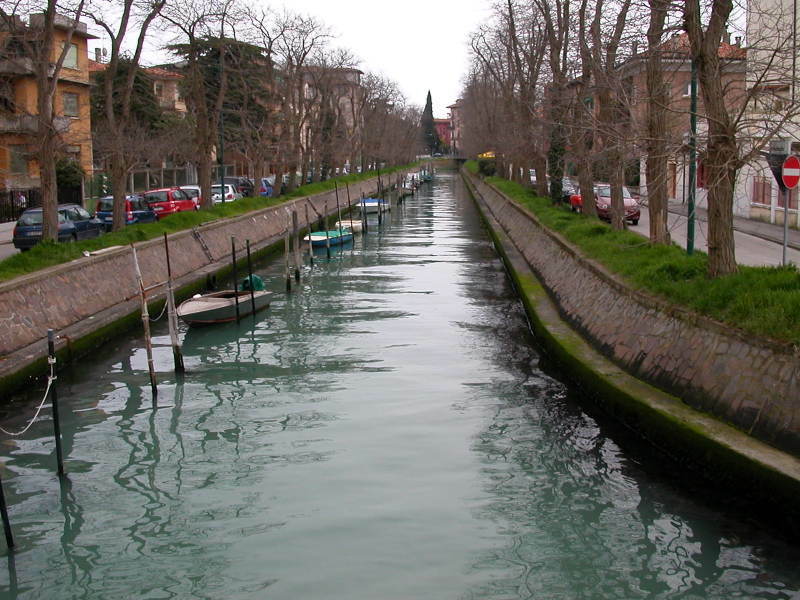 Lido also has picturesque canals scattered around the island. And it has one thing that Venice does not have – land traffic. Cars can be brought over by ferry, but we found walking to be sufficient. Of course, if you need to cover more ground, I think a bicycle would be a more interesting way to get around on the island. 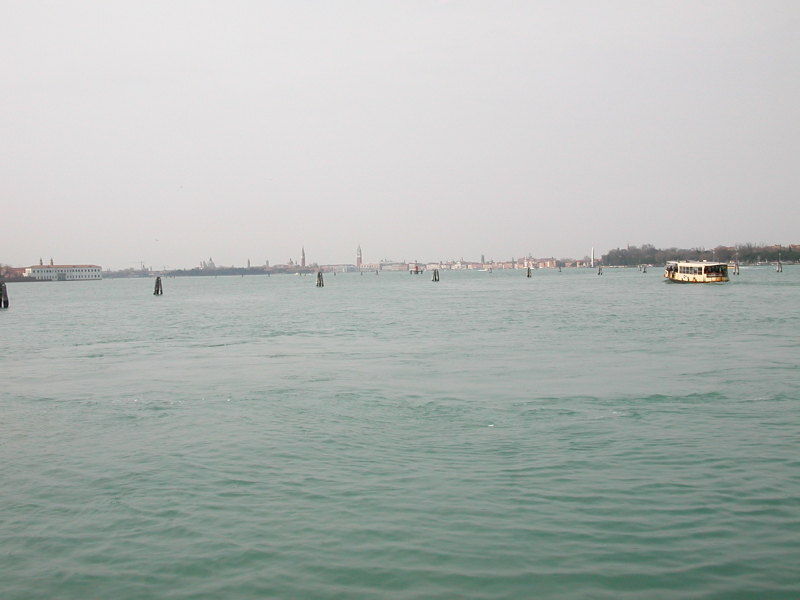 The vaporettos run often between Lido and stations near the Piazza San Marco in Venice, and take only about 15 minutes.